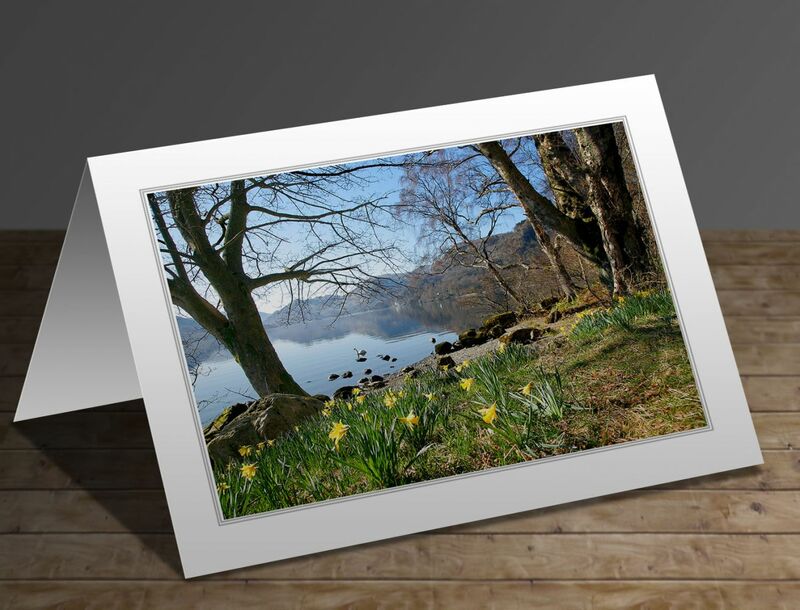 The write-up on the reverse of the card will be 'When William and Dorothy Wordsworth visited Glencoyne Bay on their way back to Grasmere after an overnight stay, it gave William the inspiration to write his most famous poem, Daffodils. I visit the bay every year in spring. The daffodils themselves are a wild variety and very daintyand neat. The sight of them in a carpet alongside the lake edge is quite spectacular'.